Zalkind Hourwitz lived during one of the most pivotal periods in history. A Polish Jew born in 1752, Hourwitz moved to France in 1774 and entered the intellectual and political life of ancien régime Paris. Frances Malino provides a vivid description of this compelling and exotic figure who fits none of the traditional portraits of eighteenth-century Jews. 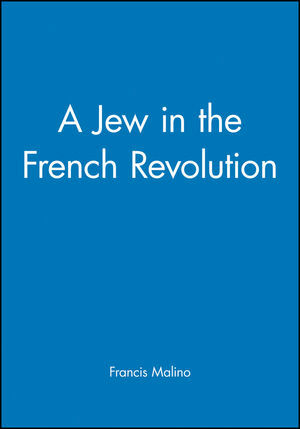 An investigation of his experiences in the French capital during this period challenges our previous understanding of Jewish emancipation, provides an additional perspective on revolutionary Paris (from that of both Jew and foreigner) and adds another dimension to the historiography of the French Revolution. Frances Malino is Sophia Moses Robinson Professor of Jewish Studies and History at Wellesley College. She has written numerous books and articles on the history of European Jews, including, with David Sorkin, From East and West: Jews in a Changing Europe 1750-1870 (Blackwell, 1990). 2. The Apologies des Juifs. 3. A Revolutionary Jewish Voice. 4. The Frustrations of Emancipation. * Provides the first biographical assessment of this exotic figure in Jewish history. * Offers an unusual perspective on one of the key period of French history. * Challenges our understanding of the nature of Jewish emancipation. * Draws on a wide range of published and unpublished sources.